Now available at fine booksellers everywhere! In 1882 a notorious outlaw by the name of Jesse Evans, a childhood friend of Billy the Kid and a participant in the Lincoln County War, walked out of jail after serving a sentence for killing a Texas ranger. Jesse walked out of prison a free man and disappeared, never to be heard from again. Never, that is, until 1949 when Jesse came out of hiding after almost 60 years to claim an inheritance left to him by his brother. 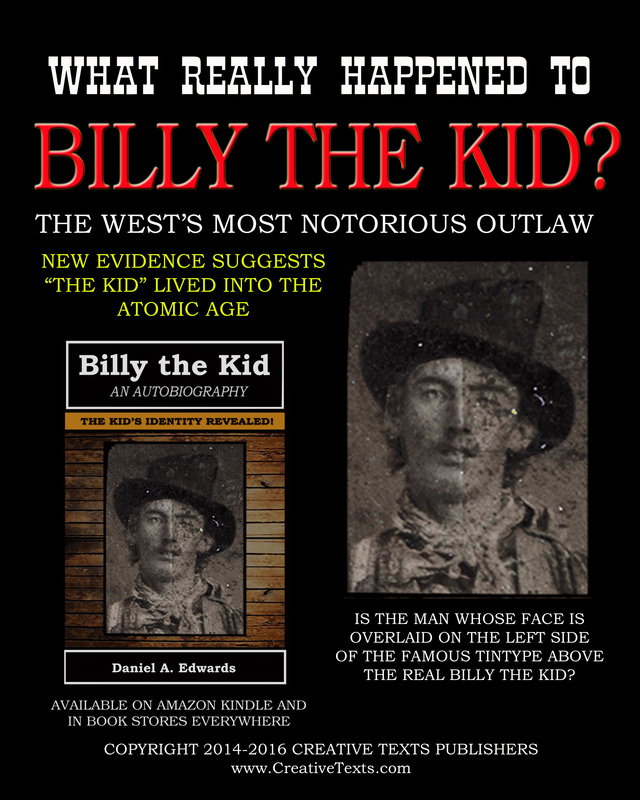 In the course of proving his identity to a court Jesse told some amazing stories of his time when he was an outlaw but his biggest revelation of all was that his good friend Billy the Kid was still alive. 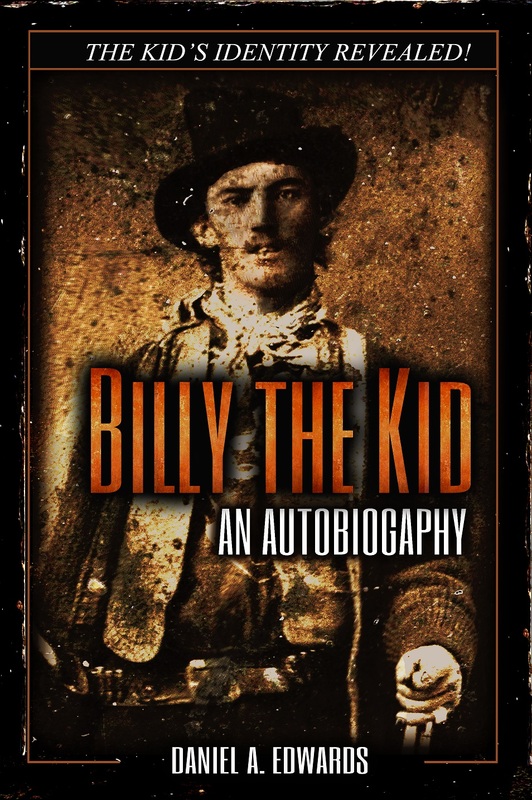 Jesse led a young lawyer named William Morrison to an old man named not William H. Bonney but William H. "Brushy Bill" Roberts who after some consideration finally agreed to come forward and reveal himself as Billy the Kid. He agreed to this on one condition. This condition was that the lawyer help him obtain the pardon he was promised by the Governor but never received so he could die a free man. You see, Billy the Kid was still wanted for murder and was condemned to hang. To come forward and reveal himself was to risk being arrested and put to death. This was a risk that Brushy Bill Roberts was willing to take. He sat down with Mr. Morrison and told his story. Before one dismisses Mr. Roberts it should be considered that 5 living witnesses, aside from Mr. Evans who revealed him, were willing to sign legal affidavits that Brushy Bill Roberts was the man they knew as Billy the Kid. Further, new photographic evidences shows beyond a shadow of a doubt that they were the same man. The story of Brushy Bill Roberts became the inspiration for the opening scene in hit movie "Young Guns II" starring Emilio Estevez as Billy the Kid. Also Consider that Pat Garrett was denied his reward for killing the kid for many months, and that only a special act of the legislature allowed him to finally receive it. Consider further that a contemporary newspaper reported, after seeing the body of the kid, that the Kid had tanned his skin and grown a beard to disguise himself as a Mexican which fits perfectly the local history that Pat Garrett killed the wrong man. All of this and more is contained in this book. Thanks to Mr. Morrison each of us can now pull up a chair, sit down across from Billy the Kid, and listen as he shares his story.